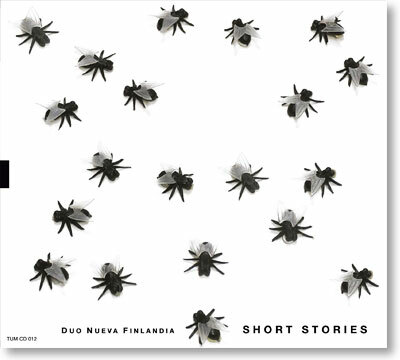 Duo Nueva Finlandia equals pianist Eero Ojanen and bassist Teppo Hauta-aho, who have both represented the top of Finnish modern jazz since the early 1960s. After often playing together during the 1960s and 1970s, they went their separate ways for many years, but started again playing together first in Trio Nueva Finlandia (with saxophonist Seppo Paakkunainen being the third member) and more recently as a duo. Short Stories is the result of an impromptu session from June 1998. It is improvised music at its purest: no recording engineer, no written music, no preconceived notions of what the music is going to be. Just two musicians with their instruments, a recording device and two microphones ready to capture the magic.